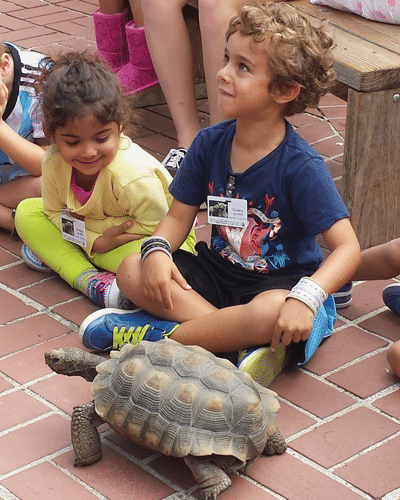 Meet our menagerie of wild animal ambassadors in an engaging guided tour. Learn about WildCare’s mission, along with success stories of wildlife we have rescued and released back into the wild. Visitors will meet the non-releasable birds, reptiles and mammals housed in WildCare’s museum and outdoor courtyard. Explore the natural behavior of each species, why each animal ambassador needed rescuing and how you can help to protect their species in the wild. Bio-facts such as skulls and feathers help to demonstrate an assortment of unbelievable animal adaptations. Every tour includes two special animal encounters with our wildlife ambassadors! At the conclusion of your tour, head inside at your own pace to take a stroll through our museum full of touchable taxidermy. Your group will be sure to leave our center with an increased appreciation for these amazing animals and the desire to live well with wildlife. 60 minute tour, age 3 to adult, 25 person maximum per tour. To reserve a Center Tour, click here or call (415) 453-1000 x12.